In the middle of rolling hills and farmland sets this quaint two-story house. As you walk up to the front door, you’re greeted by a woman that fits this house perfectly. That woman is Joyce Walker and she is as inviting as her home feels. After Joyce goes through the hospitality of seeing if you would like something to drink, she then guides you towards the back of her home where you get the full magnitude of why she loves it. meadows and woods. This is when you also get a glimpse of a deck that extends from one side of the house to the other. Joyce leads us out onto the deck and begins to share how it was a journey to get it to where it is today. Joyce said the previous deck was starting to fall apart and became structurally unsafe to go out on. It was not up to code any longer. She had some windows done by BlackBerry Systems many years ago and remembered that they did decks as well. She figured since the windows have held up nicely that she should contact them for her deck issue. Joyce said the workers came and removed the broken-down deck and it’s railing. 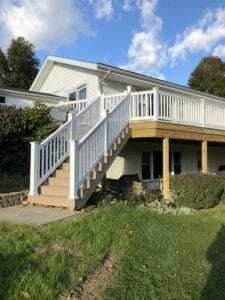 “In no time at all those contractors had a new deck with a full railing up!” She goes on to share that during the whole process the contractors never did anything without asking first. To this day that still sticks with her. 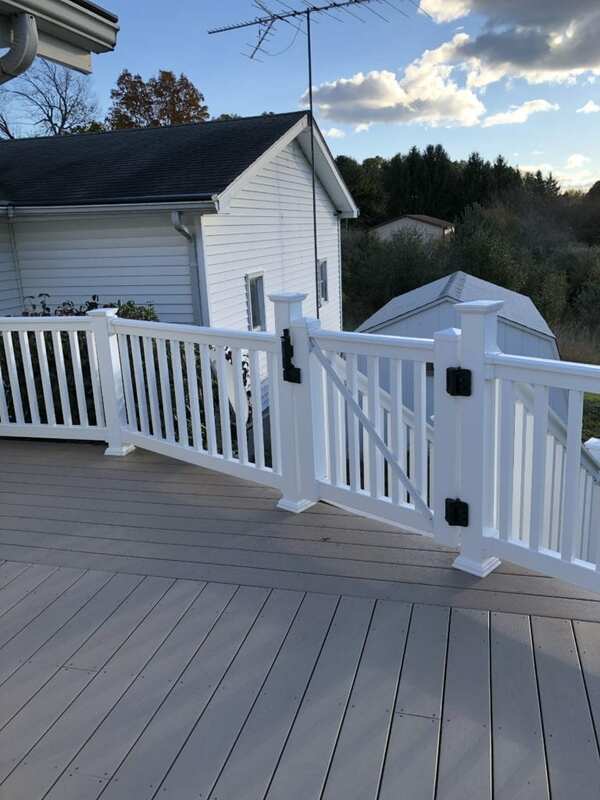 When asked what her favorite part of the project was, she responds without thinking, “The position of the stairs going off the deck to the yard.” She explains how the previous one she had to go through the bushes to use them. Now she can not only enjoy sitting safely out on the deck to watch the wildlife in her back yard, but she can also get to her yard from the deck easily. Remember to plan your spring deck project now so you’ll be able to enjoy your added outdoor space this summer! 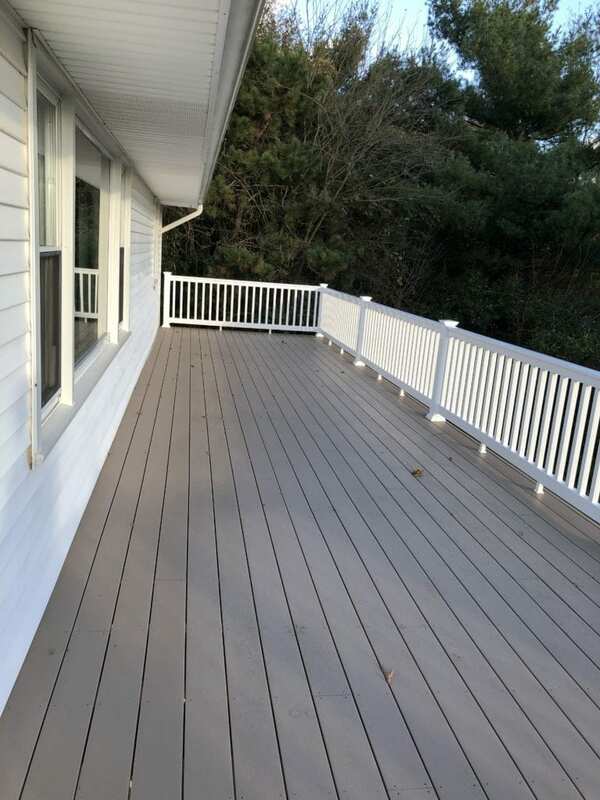 Ready to design your deck? PreviousPrevious post:A Westwood Ranch Gets A Whole New Look!NextNext post:BlackBerry Provides A Helping Hand!